So You Think You Know Hummus? 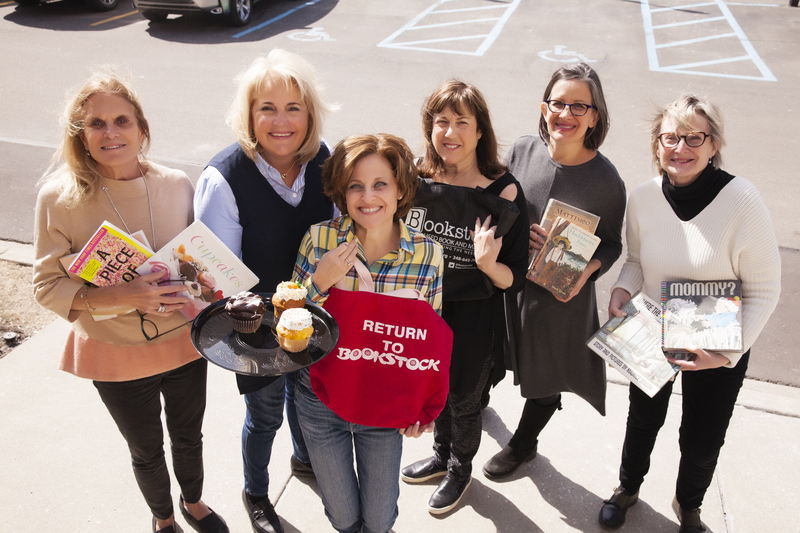 Editor's note: Only in Israel: Where else in the world could there be such a bold national mash-up of remembrance and celebration in the pairing of Yom HaZikaron and Yom Ha’Atzmaut? Only a breath separates the two holidays. As the sun goes down on Yom HaZikaron (Remembrance Day), a day of sorrow turns to the celebration of Israel’s Independence Day, Yom Ha’Atzmaut. Not unlike our Fourth of July, Yom Ha’Atzmaut customarily is celebrated with exuberant flag-waving, parades, music festivals and fireworks. On Israel's Independence Day, Israelis head for the parks with charcoal and picnic baskets laden with salads, meats for barbeque, pita bread and what else but hummus.—the nation’s favorite spread! 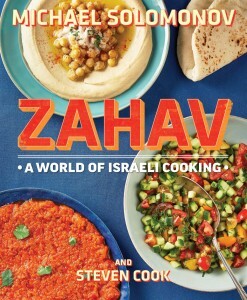 “Zahav: A World of Israeli Cooking,” by chef Michael Solomonov and his partner, Steven Cook, named 2016 James Beard Cookbook of the Year. Long before there was Israel and an Israeli cuisine, hummus was a ubiquitous dish in the Middle East. As to the country of its origin, no one can say for certain, though Israelis have adopted it as their own. 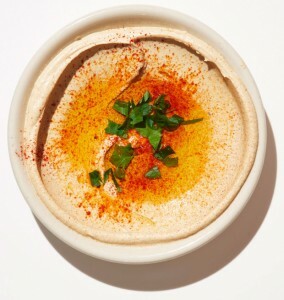 According to Solomonov, “the secret to great Israeli-style hummus is an obscene amount of tahini.” Unlike Greek-style hummus which is heavy on garlic and lemon, Israeli hummus is all about the marriage of chickpeas and tahini. Garlic and lemon are blended into a fine puree, then strained before added to the tahini to create the Basic Sauce. The result is a subtler infusion of flavors. Heaven on a pita. The second trick to chickpea-and-tahini perfection is hiding in plain sight in our pantry: baking soda. Solomonov’s recipe calls for soaking and/or boiling the chickpeas with baking soda, which raises the pH of the water and helps break down the mixture to a soft, pulpy blend. Great hummus, he concludes, could not be easier to make at home with a food processor, cooked (or canned) chickpeas and his basic Secret Tahini Sauce. What’s more, it’s 100 times better than anything you can buy in a grocery store. 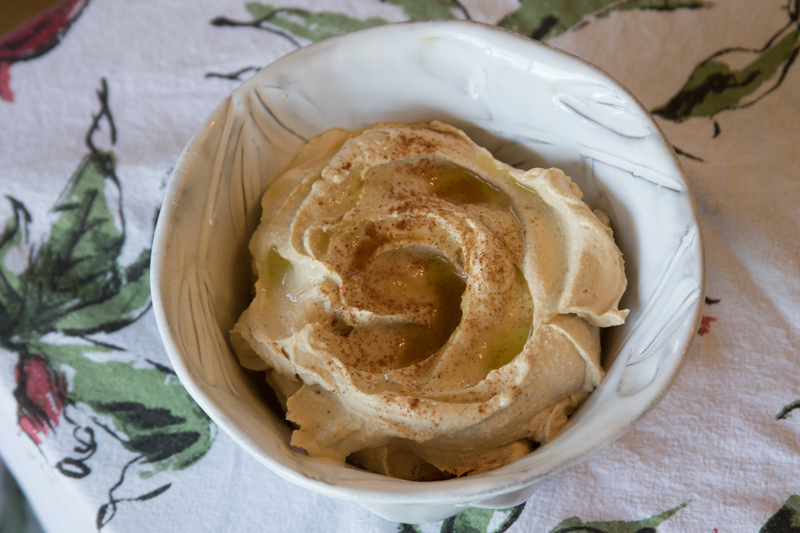 Michael Solomonov’s scrumptious recipe for Hummus Tahini starts here and can be found in full in the Cooking/The New York Times. Start with some fresh pita and hummus, that’s mandatory. Yom Ha’Atzmaut Sameach – Happy Independence Day, Israel-style!